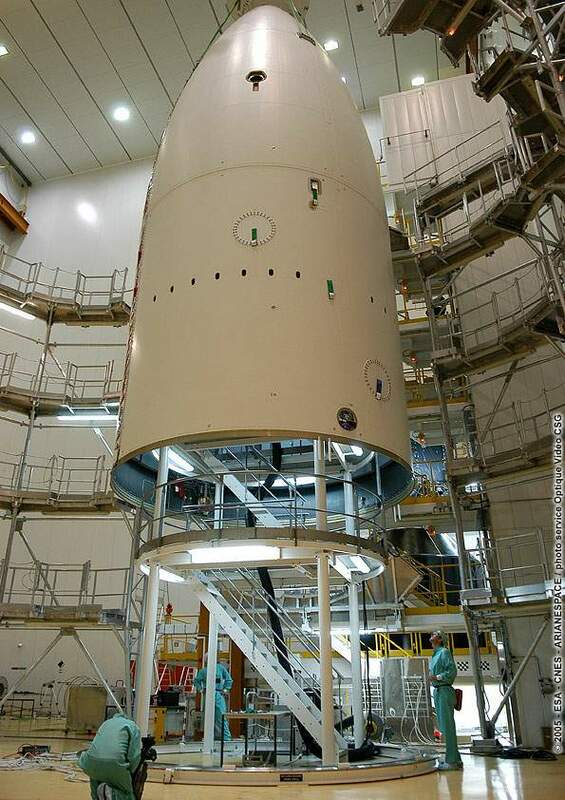 Ariane 5 ECA—an uprated version of the generic Ariane 5 offering greater lift capacity—is in the final stages of preparations for launch from the Guiana Space Centre, scheduled on 12 February. The launch marks the return of Ariane 5 ECA, which failed on its maiden flight in December 2002. The launch is also the culmination of months of effort to maximize its chances of success, and a crucial milestone for Europe’s launcher. The failure of Ariane 5 ECA on its maiden flight in December 2002 was a bitter blow to all concerned. The root cause of the failure was identified as a mechanical anomaly on the exhaust nozzle of the Vulcain 2 main engine, which was subjected to loads beyond its thermal and mechanical design limits, despite guarantees provided by qualification testing. 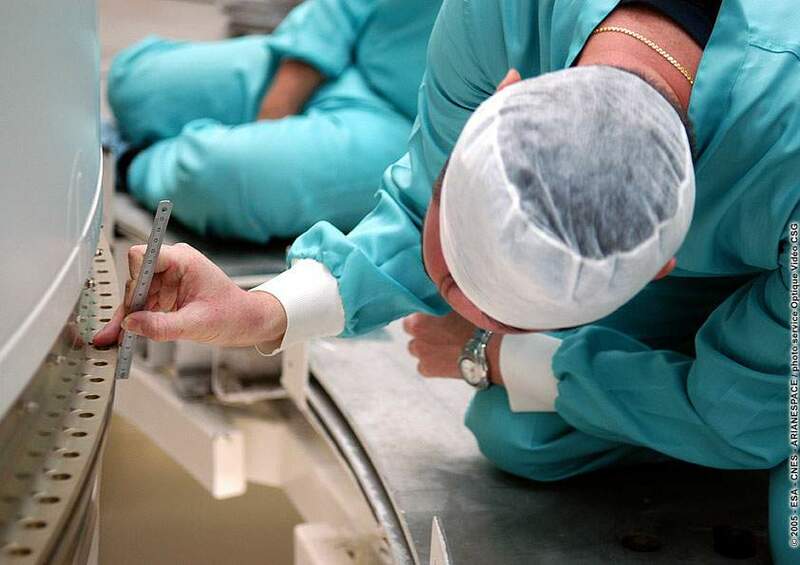 Since then, all resources have been mobilized to implement the necessary corrections and scrutinize all critical points to get the heavy-lift launcher flying again. These efforts have provided extra assurances to maximize the chances of success for the next launch, scheduled on 12 February. the MAQSAT-B2 telemetry module, a dummy payload for ESA integrating various experiments and cameras. Ariane 5 ECA’s upper stage has been receiving all the attention at the Guiana Space Centre this week as teams put it through a last series of checks. This stage is of course the chief innovation on this more powerful version of Ariane 5. 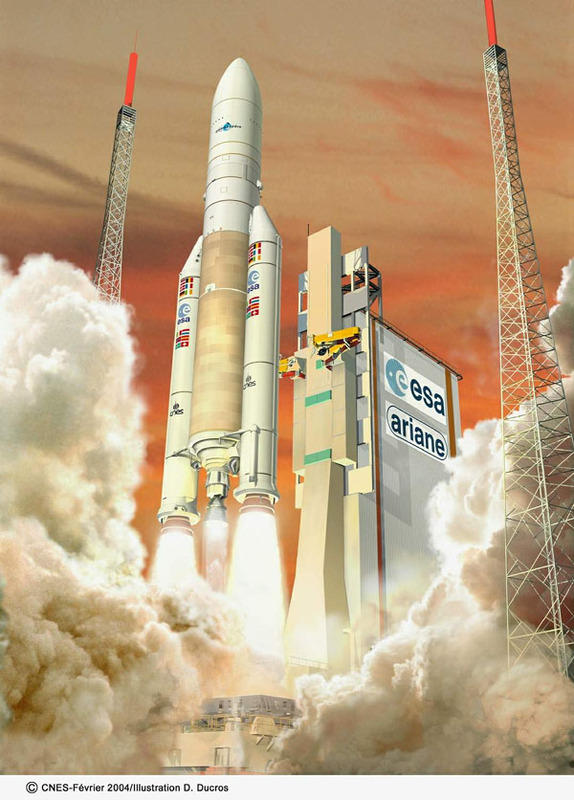 The Ariane 5 ECA is designed to place payloads weighing up to 9.4 tonnes into geostationary transfer orbit in dual-launch configuration (i.e., with 2 satellites on board). This compares with the 6-tonne capability of the generic version of the launcher. over 2,400 kg more propellant mass in the 2 EAP solid booster stages. Flight 164 is scheduled on 12 February 2005 at 22h10.